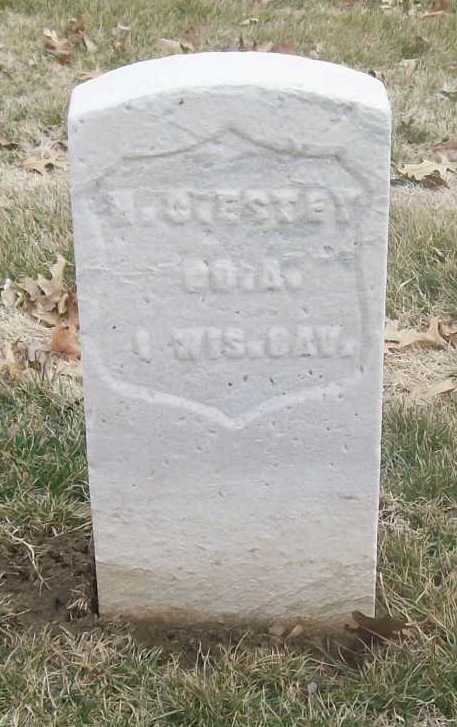 Abraham ESTEY (1790 -1876) was Alex’s 4th Great Grandfather; one of 32 in this generation of the Miller line. Abraham Estey was born 6 May 1790 in Kingsclear,New Brunswick Canada located on the west bank of the Saint John River, 20 kilometres west of the city of Fredericton and opposite Keswick Ridge, the community includes several cottage areas along the Mactaquac Headpond and a residential subdivision called Island View. His parents were Amos ESTEY and Mary (Molly) ESTEY. He married Ruth DOW 17 Nov 1812 in Frederickton, New Brunswick. 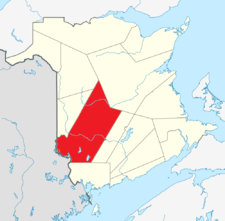 Abraham died 18 Mar 1876 and is buried at Lower Meductic Cemetery in Meductic New Brunswick. Ruth Dow was born 1 Dec 1787 in Woodstock Parish, York, New Brunswick. Her parents were Enoch DOW and Ruth NORTON. Ruth died 2 Jan 1864. 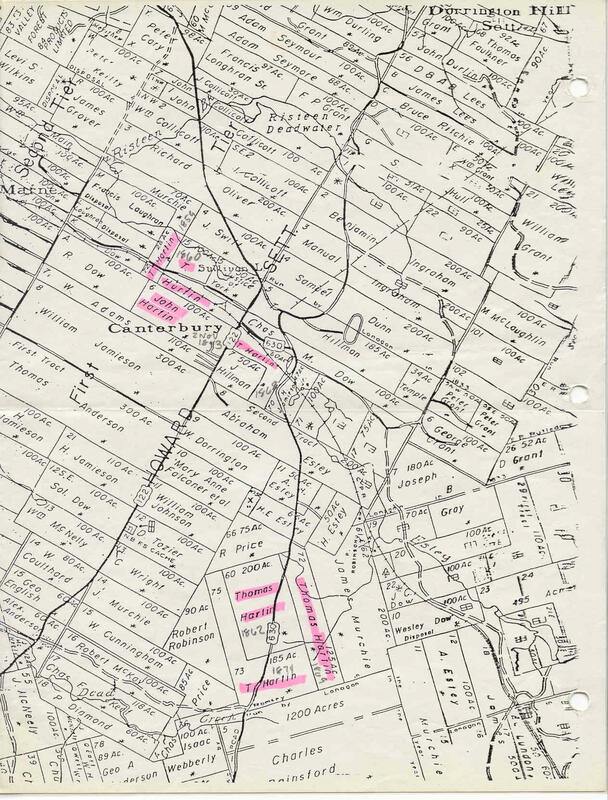 Canterbury NB Land Grant Map Abraham’s 200 acre tract borders highway 122 just south of Canterbury. His son-in-law Joshua Hillman had 50 acres right next door. His close neighbors include Charles M. Dow, A. H. Estey, H. E. Estey, H Estey and Sol. Dow. His son-in-laws Wm. McNelly and Wm. Collicot is nearby. It looks like the creek running through Canterbury is called Estey. From this Google Maps Satellite Photo it looks like most of the area has returned to woods, but the outlines of Abraham’s farm can still be seen, unique among all these land grants. Do you think the two maps line up? In the 1851 census, Abraham’s family was living in Dumfries Parish, York County, New Brunswick. Dumfries Parish is less than 30 miles from Maine and had a population of 369 in the 2006 census. Salome and Harvey were the only children still living at home. In the 1851 census, Abraham’s family was living in New Brunswick York County, Dumfries Parish, page 29 I wonder why they were listed as Irish. George’s wife Deborah Maria Miller was born in 1819 in New Brunswick. Her parents were Isaac MILLER II and Harriet PARKS. Deborah died in 1892 in Waukau, Winnebago, Wisconsin. George and Deborah Maria immigrated to Palmyra, Jefferson County, Wisconsin on 1 Sep 1845 with George MILLER and Mary ESTEY MILLER (Deborah’s brother and George’s sister) accompanying them on the trip by wagon train to Wisconsin. In the 1880 census, William was working as a blacksmith in Rushford, Winnebago, Wisconsin. This regiment was organized at Camp Fremont, Ripon, and Camp Harvey, Kenosha, in the summer and fall of 1861, 600 men having been enrolled at the former place up to the time of the change of location in November. It was mustered in March 8, 1862, and left the state on the 17th for Benton barracks, St. Louis, for equipment. On April 28 1862 it moved to Cape Girardeau, thence to Bloomfield, where companies were detached to various points in Missouri and Arkansas for scout and train guard duty. The companies were in several engagements, frequently with superior forces, and were generally successful, though at Jonesboro in August a small detachment was compelled to surrender to greatly superior numbers. At L’Anguille Ferry, Ark., occurred one of the fiercest engagements of the war, when Maj. Eggleston, with 130 men, was attacked by 500 Texas Rangers, the enemy overwhelming the little company and only about 20 escaping. The regiment with the exception of detachments moved towards Helena and reached its destination early in August. It was ordered back to Cape Girardeau in September after terrible hardships, wading through swamps, without adequate supplies, drinking foul water, burdened by sick members, and being finally reduced to nearly half its original strength. It was ordered to Greenville in early October and on the 19th to Patterson, where it was stationed during November and December, engaged in dispersing guerrillas, picking up small bodies of the enemy and foraging. On Dec. 28 a small party of foragers was picked up by 400 of the enemy, and 200 infantry and 80 cavalry, including Cos. D and M, started in pursuit. The cavalry dashed into the Confederates and scattered their pickets in every direction. Co. D dismounted and drove the enemy for some distance. The regiment was stationed at West Plains, Pilot Knob, St. Genevieve and Cape Girardeau, successively, from Jan. 7 to May 31, 1863, and was engaged with the enemy at Chalk bluff in March. At Whitewater bridge Capt. Shipman and 40 men on guard were surrounded by 300 of the enemy, but they cut their way out with a loss of 6 killed, 9 wounded and 10 taken prisoners. The regiment was in the battle of Cape Girardeau, where it supported a battery, and pursued the enemy in his retreat. In June it was ordered to join the cavalry corps of the Army of the Cumberland. It reached Nashville June 15, took part in the movement towardChattanooga, and was stationed at various points during the summer. It participated at Chickamauga, where it was engaged with the cavalry in holding the extreme right on the second day, and covered the retreat of the army. It was in a lively engagement near Anderson’s gap in October, routing Wheeler’s command and taking numerous prisoners, and it was also in a skirmish at Maysville Ala. It then marched to Winchester, Alexandria and New Market Tenn., engaging the enemy at the last named place and driving him across Mossy creek. In this action the regiment carried the enemy’s position and captured a number of prisoners. In December it again repulsed a force which had advanced on Mossy creek, and it participated in the battle at Dandridge in Jan. 1864. It was also in the engagement near Sevierville, and was then stationed at Marysville, Motley’s ford, Madisonville and Cleveland until May 3. It was in a severe engagement near Varnell’s station with Wheeler’s forces, was in the advance on Dallas, and as skirmishers, was under a fierce fire from the enemy’s batteries intrenched in a spur of the Allatoona hills, being forced to fall back. A detachment under Capt. Comstock routed a force at Burnt Hickory, and held its position against the attack of a body of cavalry until reinforced. A battalion under Capt. Harnden charged a heavy Confederate force guarding a supply train, andforced a way through the enemy’s ranks, but was compelled to fall back to the reserves, where the enemy was checked. This dash has been referred to as the most brilliant of the campaign. A detachment defeated a force at Acworth and occupied the place. A few days later the regiment was in a skirmish at Big Shanty, and it was in frequent engagements about Lost Mountain until the enemy’s retreat across the Chattahooches River. In the 1880 census, Nathan was a general merchant in Cavour, Beadle, Dakota Territory. Beadle County, named in honor of Brigadier General William Henry Harrison Beadle, was created by the Dakota Territory Legislature in 1879 and formally organized in 1880 with the appointment of three county commissioners by Governor Nehemiah G. Ordway. The first town within Beadle County was Cavour, but Huron was named the county seat when the county commissioners first met there in July 1880. From 1880 until the capital was permanently located at Pierre in 1904, Huron was in the thick of the fight for the honor of being the capital city. Huron is the site of the South Dakota State fair and the birthplace of Hubert Humphrey and Cheryl Ladd. In the 1900 census, Nathan and Estella were farming in Fitzgerald, Irwin, Georgia. In the 1880 census, John was a lumberman in Colby, Clark, Wisconsin. Amos enlisted in Company B, 21st Wisconsin Infantry Volunteer Regiment on 20 Aug 1862. Mustered out on 08 Jun 1865. The Battle of Chickamauga marked the end of a Union offensive in southeastern Tennessee and northwestern Georgia called the Chickamauga Campaign. The battle was the most significant Union defeat in the Western Theater of the American Civil War and involved the second highest number of casualties in the war following the Battle of Gettysburg. In the 1900 census, Amos and his brother Orville were growing fruit in Jocko, Flathead, Montana. Caroline, Amos’ future wife was living in Jocko too, with her first husband George Larkin. In the 1910 census, Amos and Caroline and Caroline’s 17 year old daughter Leona were living in Seattle where Amos was a contracting carpenter. In 1926, Caroline was living at 3539 Fairmount Ave, San Diego, California. vi. Colin John Estey b. 15 Mar 1849, Nankaw, Winnebago, Wisconsin; d. Apr 1902 Pocahontas County, Iowa; m1. 3 Apr 1874 Mankato, Blue Earth, Minnesota to Henretta C. [__?__] (b. 1839 Pennsylvania- d. Aft 1910 census ); m2. abt 1900 to Minnie C [__?__] (b. Jan 1872 Iowa) Her father was born in Denmark and her mother in Illinois. Henrietta had first married Edward DeForce (b. 1834 New York) Edward enlisted in the Pennsylvania 1st LA Batty E Light Artillery Battery on 29 Dec 1863. Mustered out on 14 Jun 1865. In the 1870 census, Edward and Henrietta were living in Spring, Boone, Illinois where Edward was a laborer. In the 1900 census, Colin was a carpenter and a farmer in Rolfe, Pocahontas, Iowa with his new wife Minnie. Henrietta was living with her daughter Ada and son-in-law John Tucker in Grant, Page, Iowa. She is listed as widowed, but it looks like they were really divorced. Mrs. Estey came to the Flathead in 1899 and lived on the East Lake Shore until 1921 when she moved to Kalispell. She and her sister, Mrs. J. C. Wood, planted the first cherries on the East Lake Shore shortly after coming here. She was the first teacher at Woods Bay school. viii. Alvord P. Estey b. 21 May 1856, Nankaw, Winnebago, Wisconsin; d. 13 April 1894, Hunter Hol, Montana; m. 12 Apr 1879, West Prairie, Vernon, Wisconsin to Ella Araminta Mitchell (8 Jan 1861, Pike County, Missouri – 6 Dec 1935Kalispell Flathead County Montana) After Alvord died, Ella married Philip Wilson Smith (b. 5 Jan 1836 Missouri – d. 28 Apr 1917 Kalispell, Flathead, Montana) Philip was a Confederate soldier (Private) in the 1st Missouri Infantry, Co C.
Ella had 5 children with Alvord, including: Mabel, Bessie, Bertie and Cassie. 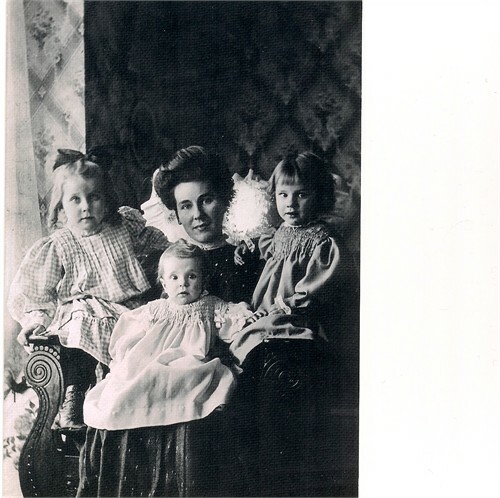 She had two children with Philip, aptly named Philip W. and Ella A. In the 1880 census, Alvord, Ella and Ella’s mother Lucinda Mitchell was farming in Brookings, Dakota Territory [Now South Dakota]. In the 1900 census, Ella and Philip were farming in Kalispell, Flathead, Montana. ix. Bion Arthur Estey b. 17 Mar 1859, Nankaw, Winnebago, Wisconsin; d. 7 May 1920 Brentford, Spink, South Dakota; m. 1890 to Eleanor Kean (b. Sep 1868 Iowa – 2 Jul 1919 Brookings, South Dakota) Eleanor’s father was from English Canada and her mother from Ireland. In the 1910 census, Bion was working as a grocer in La Prairie, Spink, South Dakota. William and his brother, John, were farmers both arriving in 1830. George G. and Druscilla and Olivia and Maria were two sets of twins. John Collicott appears to have lived in Canterbury Parish, York Co., NB in 1857 when his estate was probated. A William Collicott, also of Canterbury Parish had his estate probated in 1898. 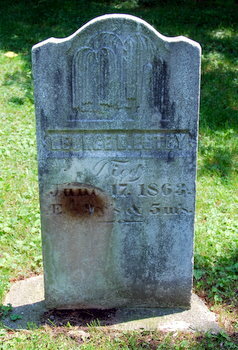 A number of Collicott’s are buried in the Canterbury Roman Catholic Cemetery in York Co., NB. Jerusha (ca. 1818 -2 5 Dec 1890) is buried in the Canterbury Cem. (i.e., non-denominational?) Also buried there is a John Collicott (ca. 1783 – 25 Aug 1847), likely William and John’s father. He may well be the John Collicott granted 100 acres in Dumfries Parish 9 Jun 1840 and another 100 acres 9 Aug 1842. William was granted 110 acres in Canterbury Parish in 1864 and John, Jr. in 1872. The 1871 directory lists Abraham, George, John and William Collicott in Canterbury Station, Canterbury Parish. The assumption Thomas Murray made is that John, William’s brother, in 1851 was John, Jr. in 1872, therefore John (ca. 1783-1842) was their father. 6) Ann Collicott b. 1834 in NB, m. Martin McLaughlin born Oct 1816, d. 15 Apr 1894: settled in Canterbury and had six children. Source: MC80/715 Fred Collicott’s Collicott genealogy. i. George Gilbert Collicott (20 Jun 1839 – 1919) m. Mary Ellen Johnson (1840 – 19 Jan 1887) Their daughter Adelia May Collicot married George’s first cousin George Abram Dickinson (see below). iii. Ruth Susannah Collicott (4 Mar 1843 – 22 Dec 1921) m. 15 Jun 1863 John William Johnson (1836 – 1 Nov 1899) His parents were William Johnson and Rebecca Dickinson. There is a story that [Sarah’s] g-g-grandmother, Ruth Susannah Collicott, was Native. She was born on March 4, 1843, and her (adopted?) parents were William Collicott and Jerusha Estey. Ruth spent her entire life in Canterbury,York Co.,New Brunswick. Ruth married John William Johnson in 1863,and apparently it was considered a scandal. Unfortunately all Sarah’s efforts to find anything about her Native origins have turned up nothing; her research shows her ethnicity, even on her death certificate (1921), to be either English or “native to the province, “the latter applying for herself, her siblings and her mother. Either she likely felt ashamed of it or she didn’t even know. She knows she has Native in me because (a) she does have some physical characteristics, as do her mother and grandfather,and (b) there is a photograph of both Ruth and John somewhere around her house. 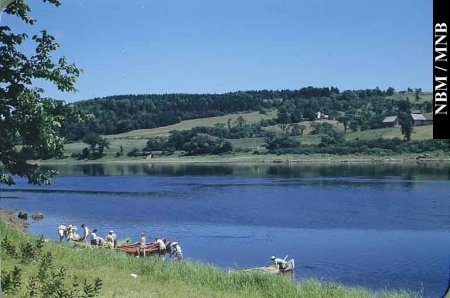 When her grandfather died in 2006, she recalls overhearing her mother and her cousin discussing Ruth, and she believes he mentioned that she was Maliseet. If you could help her in any way, she would really appreciate it. 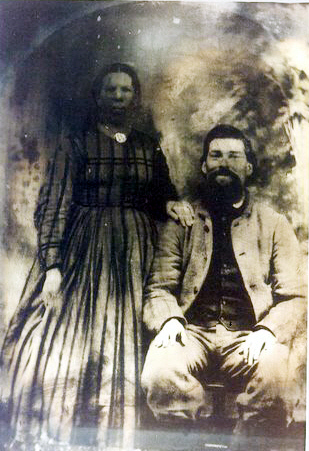 Saarah found the photo — Ruth Susannah Collicott and her husband John William Johnson circa 1861-68. 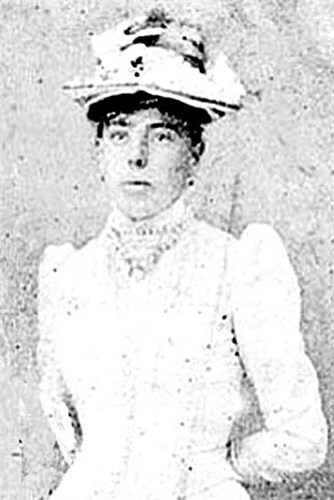 Abraham and Theodora’s daughter Hulda Victoria Collicott (During) (1871 – 1965 ) I don’t usually put great granddaughters (2nd cousins) into the page, but I like Hulda’s hat. v. Johannah Collicott (18 Mar 1847 – 19 Aug 1917) m. 1867 to Milton Dickinson (1847 in New Brunswick, Canada – 20 Nov 1926 New Brunswick) His parents were James Dickinson and Lavinia Marston. Rhoda’s husband Joshua Hillman was born in 1808 in Temple, New Brunswick. His parents were Edmund Tristram Hillman and Catherine Tompkins. Joshua died in 29 Nov 1886. In the 1900 census, Victoria was a widow with four children in Vanceboro, Washington, Maine. By the 1910 census, Victoria had married Eli T Holbrook who at 77 was 26 years older than her 51 years. 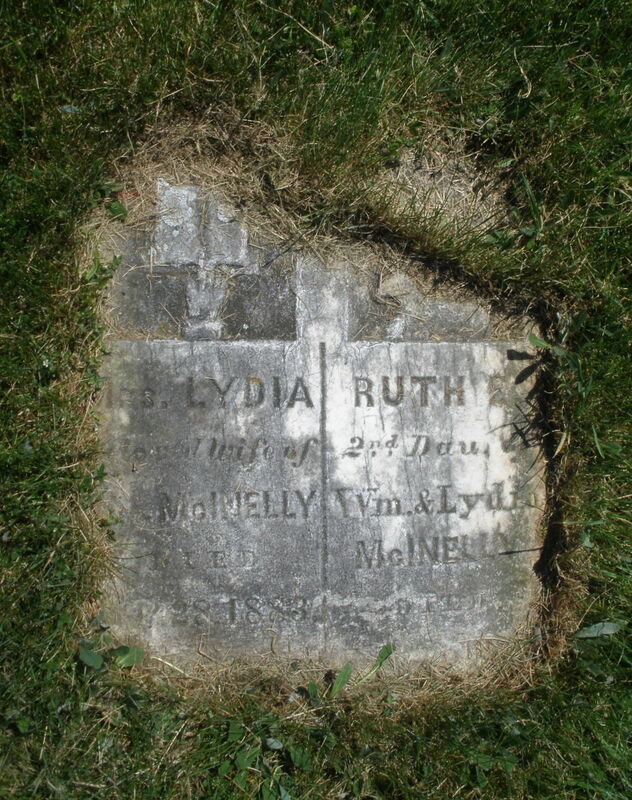 Lydia’s husband William McInelly (Warren William McNally) was born 7 Apr 1821 in St John, Kent, New Brunswick. His parents were John McInelly and Elizabeth Grant. William died in 1871 or lived forty more years to 25 Apr 1910. Nehemiah and Margaret immigrated to Maine in 1889. In the 1900 census, Nehemiah and Margaret were farming in Dyer Brook, Aroostook, Maine with six children ages 12 to 30 at home. Even though Charles was 45 when he married Jane as his second wife, the couple had eight children and Charles had 14 in all. The Wrights immigrated to Maine in 1879. Harvey’s wife Hannah Dickinson was born 23 Jan 1828 in New Brunswick. Her parents were Amos Dickinson and Hannah Teed. Hannah died in 1893 in New Brunswick. In the 1910 census, Norris was a carpenter at a paper mill in Baileyville, Washington, Maine and declared he immigrated in 1883. In the 1920 census, Norris was a carpenter at a contracting company in Seattle Washington and declared he immigrated in 1906. In the 1930 census, Abraham was moving houses in Everett, Washington, Mildred was a retail sales lady and their daughters Jessie and Phyllis were clerk and stenographer in a lumber business. David’s wife Sarah Jane Irving was born in 1832 in New Brunswick. Salome’s husband Randolph Ketchum Dickinson was born in 1831 in Wakefield, New Brunswick. His parents were Duncan Dickinson and Hannah McGee. Randolph died in 24 Jul 1913 in Canterbury, New Brunswick. This entry was posted in -6th Generation, Line - Miller and tagged New Brunswick, Wisconsin 1st Cavalry, Wisconsin 21st Infantry. Bookmark the permalink.